"...the production design is spectacular, evoking an mid-60s flavor. Every last prop and costume is color-coordinated in coal gray and Pepto pink. It looks fantastic, and the performances (hilariously arch) are stylized and otherwordly and just strange enough to keep the nonsense on track." "...this one-act, which Williams also directs for Trap Door Theatre, is more than just a tech-savvy send-up of Samuel Beckett. Undercurrents of everything from Sartre to Agatha Christie weave through the story, as the four characters' smartphones meet untimely ends one by one. It's a smart, well-executed show with just the right ratio of mockery to substance." "... These four characters text, tweet, and instagram their way through their lives. They don’t even raise their children; Chantal and Dagobert have sent their kids to China so they have more time to focus on the empty pursuits of the next generation iPhone and the prestige of associating with Fede, who never will show up. And when the batteries run out, they can’t even face each other. They just power down." "...This entertaining world premiere is presented with all of the striking peculiarity and stunning production values that Trap Door Theatre has become known for. Smartphones – a pocket size farce is a commercial for our commercial addiction. As a matter of fact, the product placement references are so pervasive that Trap Door Theatre should be getting subsidized for the next ten years. Rather than subversively selling us more stuff though, Smartphones shines a silly light on our obsessive-compulsive techno-eccentricities and delivers an “LOL” good time in the process." 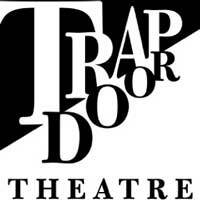 "...For those of you skeptical of avant-garde theatre, I’d like to kindly direct your attention over to the Trap Door Theatre. This season has been a big one for them, with a strong slew of productions that have gotten raved by the critics who they’re able to get through the door. Please, add my name to that list—at the top, even. Emilio William’s Smartphones: A Pocket-Size Farce is the perfect cap to a remarkably strong season at the Trap Door, which is quickly becoming one of my favorite venues (if not my favorite) in the city of Chicago." "... I have never been a huge fan of absurdist drama because while one can enjoy and appreciate what is going on, the entertainment value can be lacking (for my taste). However, this script revels in confusion and uses that to its advantage in some very intelligent ways. There is a high-heeled shoe that sits in a spotlight for the entire show without ever being noticed or referenced until all of the phones have been destroyed, and even when someone finally picks up the shoe it seems like a foreign object that is gently placed back in its spotlight. Details like this make "Smartphones" a play that stands out amongst other absurdist pieces I have seen. At a swift 65 minutes, it never overstays its welcome and feels as fleeting as a text message. I laughed, I gasped, I cringed, I enjoyed every second of it. It's theater of the absurd for the digital age."